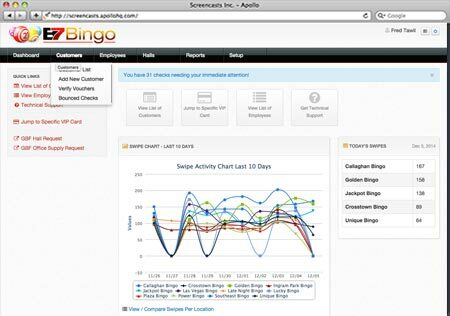 The B7Bingo Hall Management System is the only standalone "cloud-based" system on the market. With VIP player tracking, employee management, inventory control, advanced reporting and so much more, the B7Bingo HMS takes the hassle and guesswork out of running a bingo hall. 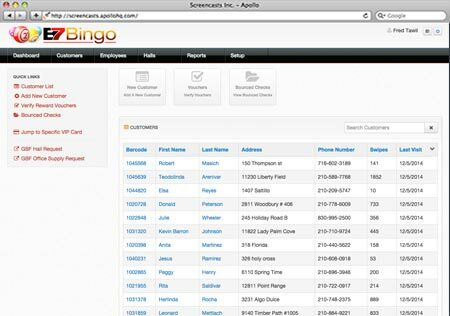 Compatible with any bingo system, this unique web based system will revolutionize your bingo hall. Experience is the best teacher, and we’ve got loads of it. As a company of former bingo employees with over 50 years of bingo experience – we are revolutionizing the Bingo industry. You won’t find needless functions “just because they’re cool”. We’ve built our Hall Management System and our Video Entertainment Display using our real-world experiences as the driving force behind every decision we’ve made. We have all the features you need to run your halls smoothly. Every product we have can be customized to fit your hall. On-site training is provided with every product installation.